When we think of soil, many of us think of dirt—lifeless, inert, inorganic dust providing a surface for plants and animals to live on. We often forget the creatures that live in the soil. In fact, soil life holds incredible diversity: one teaspoon of healthy soil may host 15,000 species of bacteria alone—not to mention other life—and can house more individual microbes than there are people on earth! 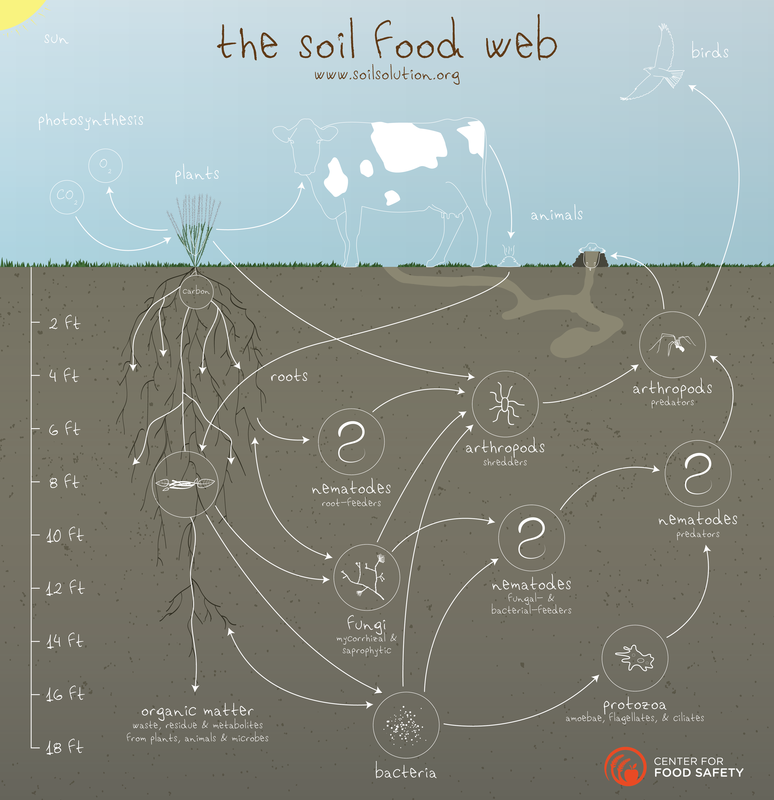 The soil food web is complex and fed by organic matter such as decaying plants, animals, and microbes as well as nutrients released by living plant roots. The organic material is digested by bacteria, fungi, and other life forms, which are in turn eaten by worms, insects, and spiders. Finally, larger animals such as mice and moles live in the soil and eat the bugs. These creatures are all necessary in order to build healthy soil structure, or tilth. Even minor imbalances or upsets can set off a chain of disruptions through the food web. 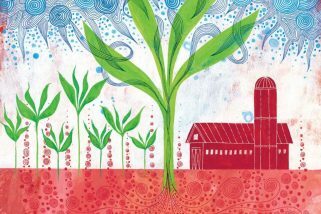 For this reason, it’s important to assess how different agricultural practices affect the health of the soil food web.